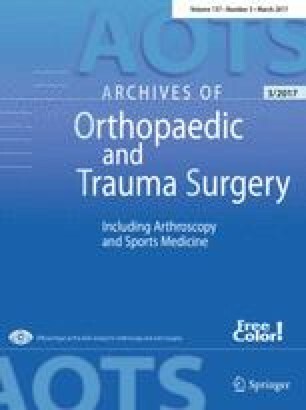 A transparent, reliable and accurate reporting of complications is essential for an evidence-based evaluation of shoulder arthroplasty (SA). We systematically reviewed the literature for terms and definitions related to negative events associated with SA. Various biomedical databases were searched for reviews, clinical studies and case reports of complications associated with SA. Any general definition of a complication, classification system, all reported terms related to complications and negative events with their definitions were extracted. Terms were grouped and organised in a hierarchical structure. Definitions of negative events were tabulated and compared. From 1086 initial references published between 2010 and 2014, 495 full-text papers were reviewed. Five reports provided a general definition of the term “surgical complication” and 29 used a classification system of complications. A total of 1399 extracted terms were grouped based on similarities and involved implant or anatomical parts. One hundred and six reports (21.4%) defined at least one negative event for 28 different terms. There were 64 definitions related to humeral or glenoid loosening, and 25 systems documenting periprosthetic radiolucency. Other definitions considered notching, stress shielding, implant failure and tuberosity malposition. A clear standardised set of SA complication definitions is lacking. Few authors reported complications based on definitions mainly considering radiological criteria without clinical parameters. This review should initiate and support the development of a standardised SA complication core set. Matthijs Jacxsens and Theodor Walz contributed equally to the study as first authors. The online version of this article (doi: 10.1007/s00402-017-2635-9) contains supplementary material, which is available to authorized users. The authors acknowledge the support of Dr Martina Gosteli, medical librarian at the University of Zurich, Zurich, Switzerland, for implementing the final literature database search. Melissa Wilhelmi, PhD, medical writer at the Schulthess Clinic, Zurich, Switzerland, is greatly thanked for editing the manuscript and supporting the submission process. Support for this research was provided by Schulthess Clinic and University Hospital of Basel. On behalf of all authors, the corresponding author states that there is no conflict of interest.